This sinister looking 458 is the one you've been looking for! Its' stealth looks are complemented by the black 20", black calipers and glossy black paint finish. This 458 has just been fully serviced and inspected and is ready for its' new home. The new owner will receive 2 keys, books, charger and car cover. Feel what 563 horse power feels like at 9000 RPM and you'll never go back! Full power electric seats, Scuderia shields, painted calipers, 20 " black wheels, white rev dial and Daytona latched seats make up the options on this awesome car! 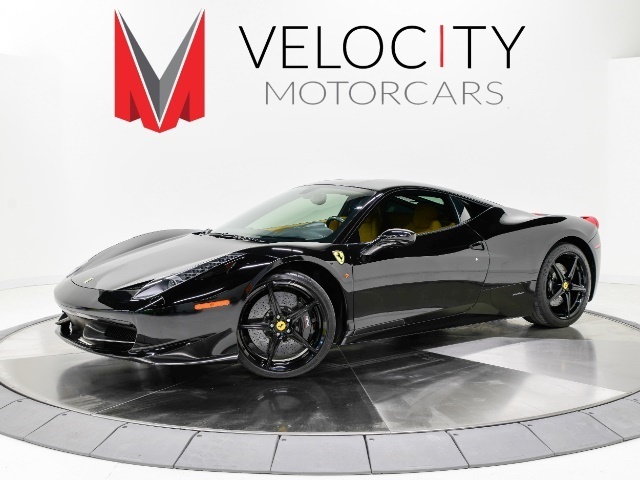 I am interested in this 2010 Ferrari 458 Italia that recently sold on duPont Registry.